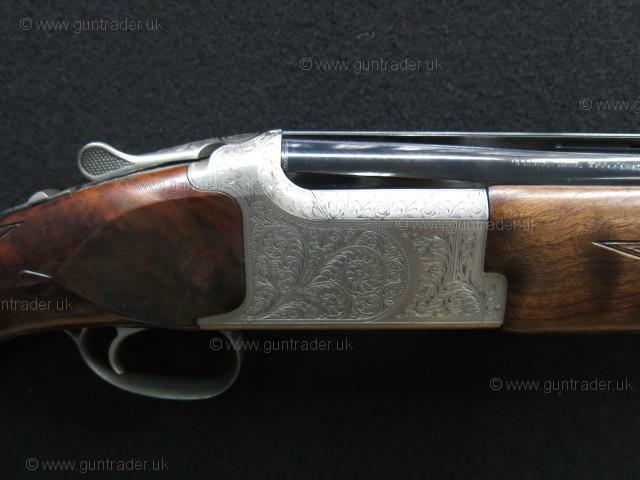 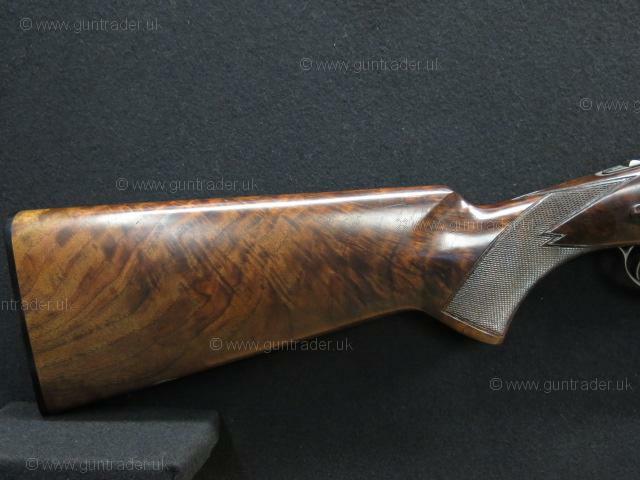 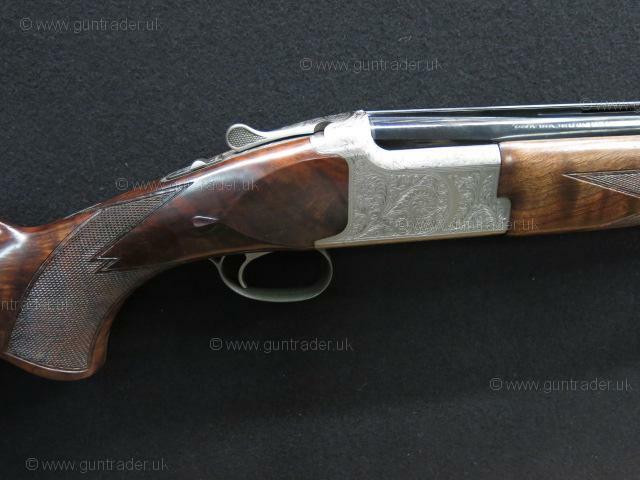 Superb condition 12 Bore Miroku MK 70 Grade Five over and under multichoke sporter. 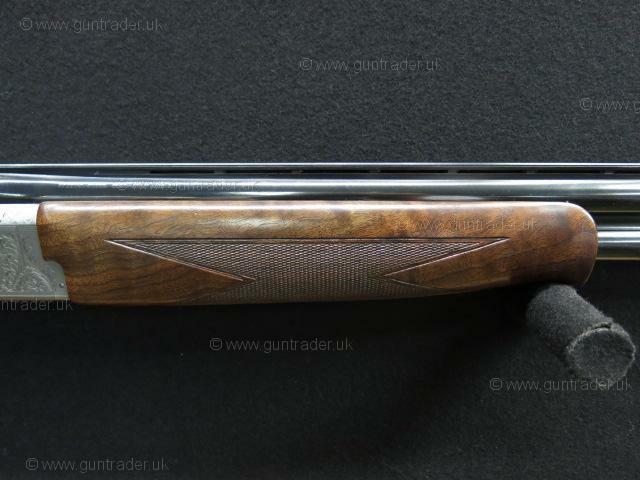 Oil finished well figured grade five American walnut pistol grip stock showing a good amount of natural figure fitted with a slim ebonite Miroku factory heel plate, the stock is accompanied by a matching schnabel shaped forend with scroll engraved release catch. 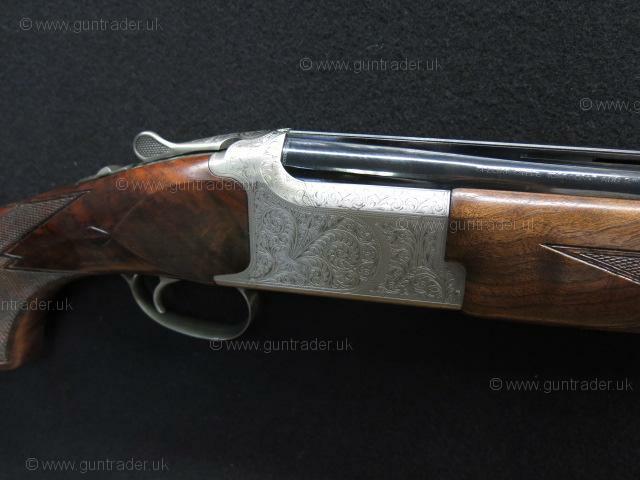 Deep cut scroll engraved MK 70 boxlock action, the action is set alongside a pair of 30" Invector Plus back bored barrels with wide ventilated tramline sporting top rib and solid side ribs. 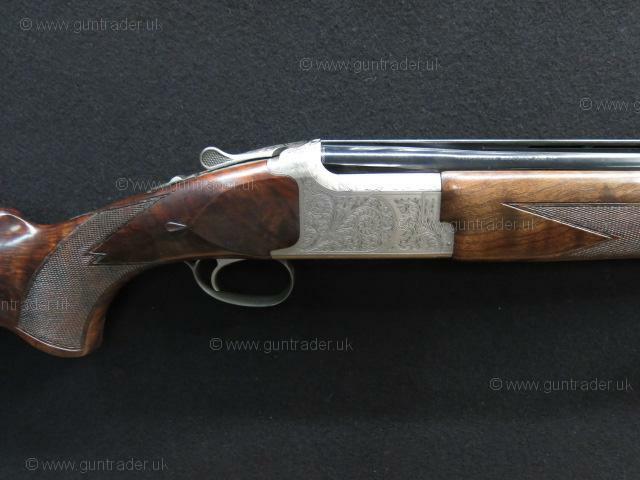 Scroll engraved top lever and rounded trigger guard with fixed coin finished trigger blade, manual safety catch incorporating the barrel selector, supplied complete with a selection of flush fitting Invector Plus chokes with choke key.